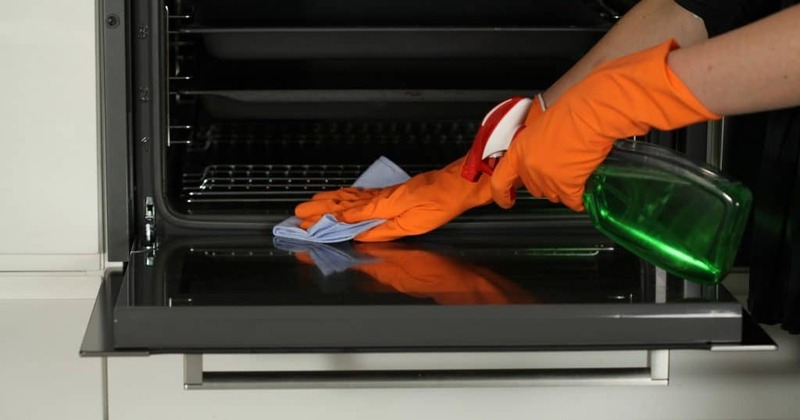 According to a survey done by Jaycloth Cleaning and Ironing Services, 30% of the participants polled have quoted oven cleaning as their most dreaded household chore. However, despite the effort that is required, it is crucial to keep your oven clean and maintain hygiene. This brings about several benefits including making your food taste better! We have approached 17 bakers, cleaning experts and DIY professionals to tell us their tried and tested tips to clean and maintain their ovens. I use a few natural oven cleaners, both work miracles. For burnt food on the oven floor – spread baking soda, spray it with white vinegar and leave it overnight. In the morning just wipe it away, the solution should dilute the dirt. If the entire oven is greasy and needs cleaning, the following DIY oven spray should help. The ingredients: 6 parts water, 1 part baking soda and 1 part white vinegar. First you must blend the water and vinegar and then add soda. Apply it to your oven interior and wait for 5-10 minutes. Wipe it and rinse the surface. Mix it into a large container until it resembles thick cake frosting. You should layer it on the inside of the oven, wait for 24-hours and then scrub it off with a damp sponge until clean. Step 2: Use a spatula or a new small paint brush to spread the paste on the areas with most grime and let it sit for about 25 minutes. Step 3: Get a quality scrub, white distilled vinegar and fill another plastic container with the vinegar just enough to be able to dip the scrub entirely. Step 4: Using gloves dip the scrub in the plastic container and turn it over to dip the other side. Step 5: Once the scrub is soaked in vinegar and using your gloves, start scrubbing away the nasty grime. You’ll notice it cuts through the grime like a knife through butter. Optional: for stainless steel ovens, get a stainless steel cleaner and polish to make it shine! First, remove the racks and have them soak in the sink while you clean the inside of the oven. 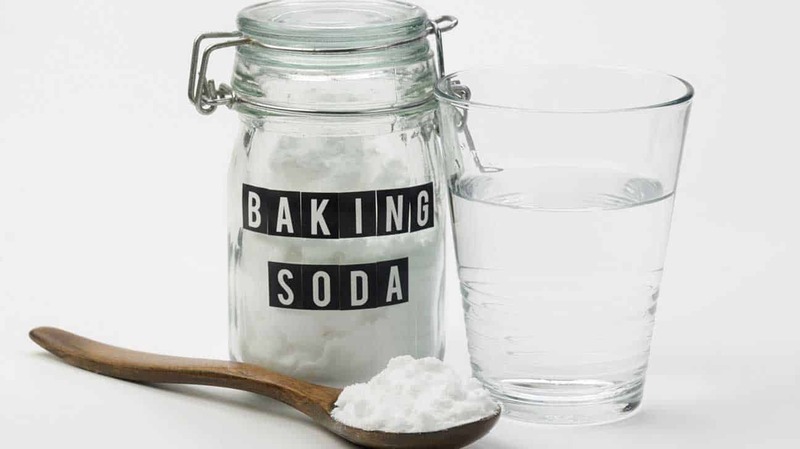 Create a mix of 1/3 baking soda, 1/3 vinegar and 1/3 warm water and mix in a spray bottle. Generously spray the inside of the over with the solution, begin with the oven ceiling, and let the solution sit for 2-3 minutes. Use a microfibre cloth to remove the solution along with any build-up. Continue on all sides and the bottom. Repeating this process every 3 months will guarantee your oven will last for many years! My favourite way to clean the oven is with baking soda and water. Make a paste of baking soda and water and spread liberally over all surfaces of the oven. Let it sit for several hours or overnight, keeping it moist by misting occasionally with water. Wipe out with a damp cloth (no scrubbing required) and spray with vinegar. Let the vinegar dry to repel future stains. 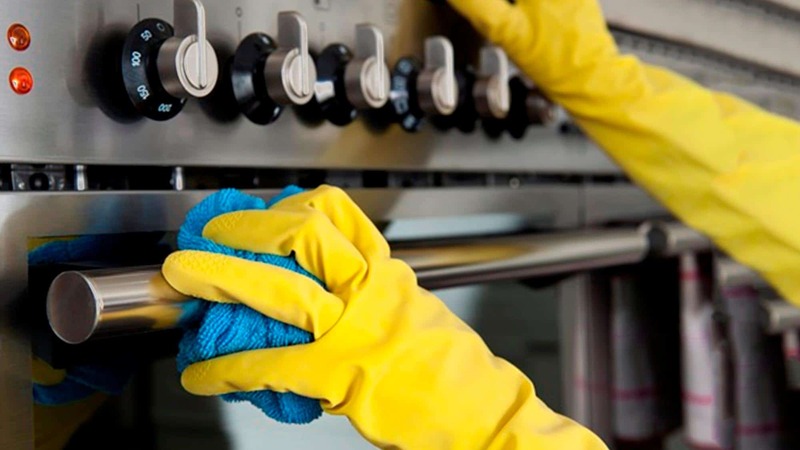 This natural method of cleaning has the added advantage of leaving no chemical residue, which can cause harsh fumes when you next use the oven if you did not get every last streak of the traditional cleaners. I do it the old-fashioned way, by mixing water and baking soda in a bowl. First, remove the oven racks, and then spread the baking-soda paste inside the oven. Let it sit overnight and then gently spread vinegar over the paste. The debris scrubs off easily! rub it with a lime to help with eliminating grease. For eliminating odours, you can put water and vinegar in a pot inside your oven and set it at low heat. Leave it for a while and clean your oven after. You can then use a towel and soapy water to clean the rest of the grease that has built up. Only switch off the oven once the oven has cooled down. Wipe down the interior of the oven regularly. Remove any residue and/or burnt food after every bake to prevent the oven from having any unpleasant smell. Avoid using strong chemicals to clean the oven as the gas from the chemical will linger in the oven. Soak racks in a mixture of hot water and dish soap to remove any stubborn stains. Turn off and unplug your oven before cleaning it to ensure it can’t be accidentally turned on while you’re working. Clean the outside of the oven first. You’ll also want to clean underneath it to prevent food debris from getting inside the oven after you clean it. Remove the racks and clean them thoroughly. This includes removing debris and using approved sanitisers like chlorine or quaternary ammonium to kill remaining bacteria. After sanitising, rinse the racks with clean water and allow them to air dry. Wash the parts of the oven that can’t be removed with clean water and spray the interior and exterior with sanitising solution. Allow it to air dry before putting the racks back inside. Open all windows and doors prior to cleaning an oven. Wearing a face mask, use a strong oven spray and place the shelves and supports on the open door so once the inside has been sprayed, the shelving and door can be sprayed at same time. After leaving product to work for 30 minutes, wash and scrub the shelving with stainless steel scourer in hot soapy water. Wash out inside of oven and door with a wet sponge. Dry with clean cloth and replace the supports and shelves. For maintenance, remove spillages and wipe inside oven after every use. The secret is to use a razor scraper for the stuck on grease. Scrub with a cleaning agent of choice and a non-scratch pad. Next, use a rag to clean up and dry everything. Now use the razor at an angle to gently clean off the remaining food and grease using short quick movements. Be careful not to cut yourself! 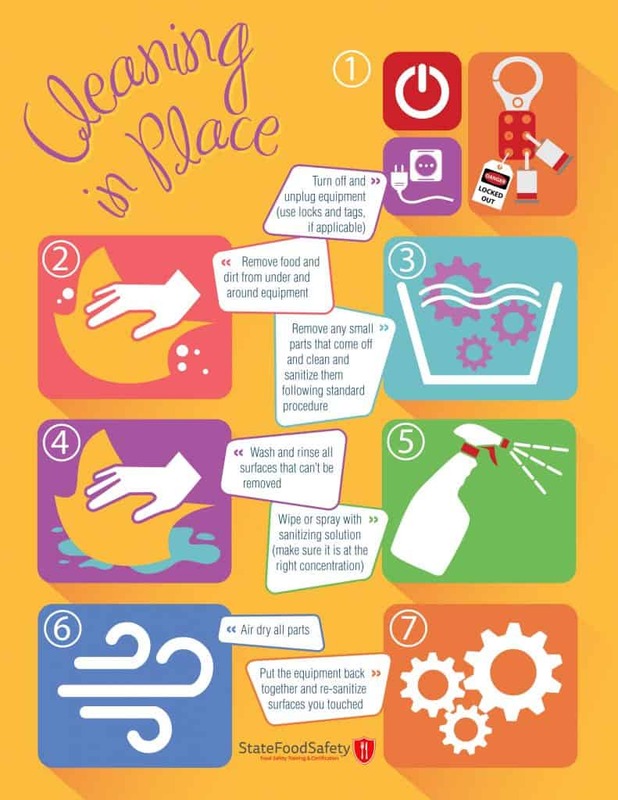 Once everything is removed, finish it up with a quick wipe of your cleaning agent to make it sparkle! We first remove all the oven grills, and scrub and wash them with soap water. For the interior of the oven, we scrub them with CIF oven cleaner and wipe it down a couple of times with hot water and soap. Then finally, we leave the oven on at 180 degrees celsius for 30 minutes or so to just let the oven dry and air. We use industrial cleaners for our ovens. Although, sometimes we use baking soda and half a lemon wedge to soften some tough stains (sponge batters, drips etc.). You could add some salt to act as an extra abrasive. We like to use steel wool to scrub our ovens. Make sure to brush the base of the oven to make sure no crumbs are left. Wipe the glass door to avoid grease build up. The same mixture can be used to clean oven glass doors. Cut your citric treats in half, squeeze them in the bowl, place what’s left of the lemons in the juice and add enough water, so the dish is about halfway full. Set the oven to 250 degrees, bake for 30 minutes and then let it cool off. Then, sponge the grease with lemon water. Finish by drying the inside walls off with a clean towel. Use a mixture of baking soda, dishwashing soap and hydrogen peroxide to remove burnt grease and grime from your cooker. This works exceptionally well on broader oven surfaces. 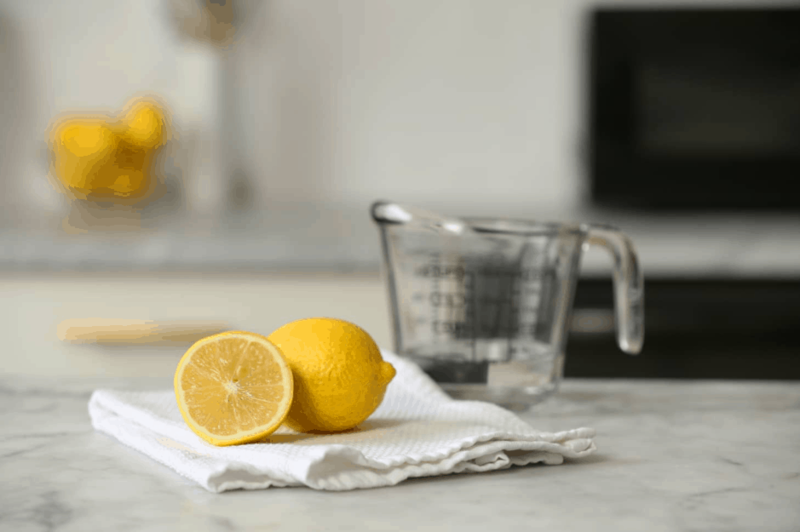 In a pot, mix a cup of water, the lemon juice from 2 lemons and the used lemons. Boil the mixture in the oven. The steam from the water will loosen the grease and grime and make it easier to clean. 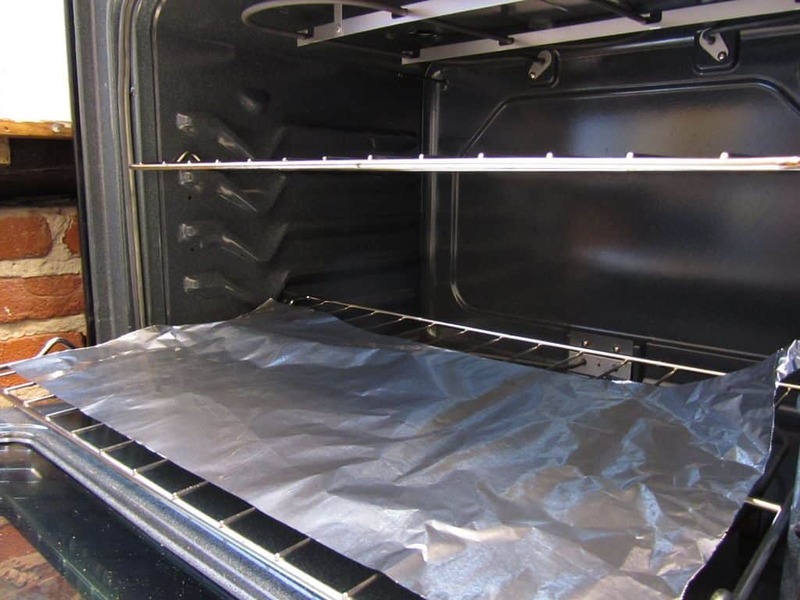 Use a bag filled with 500 mg of ammonia to clean your oven racks. Put them inside the bag and leave it overnight. Rinse the oven shelves in the morning. For non-electric ovens you can keep a roasting tray on the bottom of your oven to catch any drips without effecting the oven’s heat flow. When you are finished using the oven, soak the roasting pan over-night and it will be easy to wipe away all of the build-up in the morning. If soaking is not an option, you can scrape it between uses. One pan can last months with this method and will save you a lot of time on oven cleaning! My tip is more of a way to keep your oven clean, rather than how to clean it once it has been dirtied. In short, anything that I make that I think might drip from the pan (e.g. a fruit pie) or anything with a filling that might ooze (e.g. sticky morning buns), I always place a sheet tray (cookie sheet) below the pan with the baked good in it either directly below, like the baked good pan is on the sheet tray, or a shelf below. The sheet pan will then do its job by catching all the drips. I always cover the sheet pan in tin foil so that that is easier to clean as well. It seems like many of the experts who contributed have similar ways of cleaning their ovens. Having said that, only you would know what works best for your appliances. The best way to find out which method is the most effective is to try each of the methods mentioned in this article, compare the results and stick to the best one! To prevent oven tripping, you have to switch your oven to 150°C for 15 minutes every week!